Gary “Dean” Rominger, 56, passed away at his home on August 12th, 2018 ending his courageous battle with ALS. Cremation has taken place and at his request. Services will be held on Sunday, August 26th at 2:00pm at First United Methodist Church, 610 2nd Ave North, in Great Falls. Croxford Funeral Home has been entrusted with arrangements. Dean was born December 12th, 1961 to Gary Rominger and Connie (Scott) Turk in Great Falls, Montana. He was raised and attended school in Fort Benton. During his high school years Dean broke and still holds many records across the state in track and field, along with receiving the national All American Award for his stellar performance in football his senior year. Dean then attended college at the University of Montana Missoula and obtained his Bachelor's Degree in Liberal Arts. While attending U of M, Dean was a five year letterman in Track and Field and a four year letterman in Montana Grizzly Football. On June 30th, 1984, Dean married his wife, Emilia “Emy” Evers Rominger in Missoula. After college, Dean and Emy went to work in Central Montana where they had their daughter, Erica, in 1987 and son, Steven, in 1990. 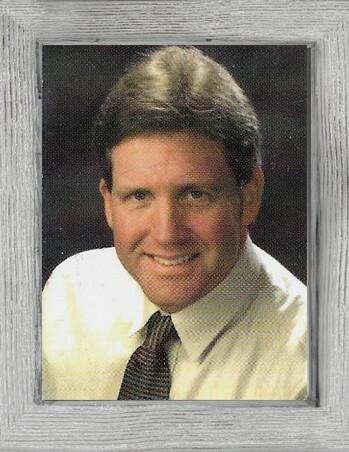 Dean was an accomplished farmer, rancher, business manager, coach, and real estate agent. Dean was a fun-loving, easy going, hardworking guy. He had a love for sports, particularly football and track and field. He enjoyed watching his children excel in sports throughout their school years and helped coach them along the way. He had many other interests including music, weight lifting, reading, snowmobiling, meteorology, checking crops, traveling, and spending time with beloved friends and with his granddaughter Emma Jean. Dean and Emy loved to entertain family and friends hosting countless BBQ’s, pool parties, and “band practice” at their residence in Missoula and celebrating many special occasions at the farm in Floweree. Dean was preceded in death by his grandparents; Kenneth and Bernita Scott, Rankin and Armeda Rominger. He is survived by his wife of 34 years, Emilia “Emy” Evers Rominger; daughter, Erica Rominger (Robert T.) Ebeling; son, Steven Dean Evers Rominger; father, Gary Wayne (Audrey Miller) Rominger; mother, Connie Marie (Vernon) Turk; sister, Debi Rominger (Mike) Steffes; brothers Daniel Preston (Aimee) Rominger, David Wayne (Kelly) Rominger; and granddaughter Emma Jean Ebeling. In lieu of flowers and cards, please make a donation to your local Hospice organization. Our family thanks Hospice from the bottom of our hearts for the compassionate and exceptional care they took of Dean during this difficult time.